No Offense: But Isn’t It Alarming That So Many Children Are Not Learning to Read? Before describing the purpose of that article, I have a question for you: If your child was in 5th grade and reading on the 2.7 grade level, wouldn’t you be alarmed? Wouldn’t you want a research based reading program that has a proven record of success before your child falls even further behind? To clarify, that article is a critique of teacher education programs, not an attack on teachers. The National Council on Teacher Quality examined what aspiring teachers learn about reading instruction in college. 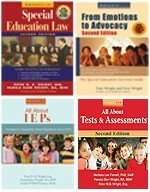 NCTQ analyzed a representative sample of reading courses to assess the degree to which students are taught the five essential components of effective reading instruction (https://www.wrightslaw.com/nclb/4defs.reading.htm): phonemic awareness, phonics, fluency, vocabulary, and comprehension. A Closer Look at Early Reading: Key Findings. Teaching children how to read is “job one” for elementary teachers because reading proficiency underpins all later learning. Unfortunately, 30 percent of all children do not become capable readers. 2015 State Teacher Policy Yearbook summarizes how the states are doing in developing policies that improve the teaching profession. The Yearbook describes teacher quality and preparation by state. State by State Summary. Teacher Prep Review for 2014 uncovered early evidence that teacher prep programs are beginning to make changes. Reading proficiency underpins all later learning. Unfortunately, about 30 percent of all children do not become capable readers. Two in five (39 percent) of the 820 undergraduate elementary ed programs evaluated provide instruction in all five essential components of early reading instruction. Quality of Most Reading Textbooks is Poor, Inaccurate and Misleading. Given the strength of the scientific research in reading instruction, there is genuine cause for concern … we will not be surprised to find that it took several decades for the science of reading to be absorbed into thinking and practice … [that means ] yet another generation of children have been deprived of the benefits of the science. 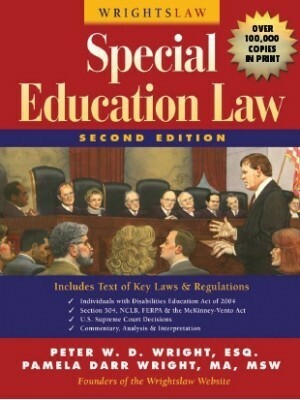 This entry was posted in FAQs, IDEA 2004, Reading, Related Services, Special Ed Law, Teachers and tagged Highly Qualified Teachers, Reading, reading teachers, special education teachers, Teacher Training, Test Scores by Pam Wright. Bookmark the permalink. I have been a special education teacher for over 20 years and not once have I ever had explicit instruction on how to teach children to read. Everything I know has been learned through trial and error. Joan – This is exactly what happened to my son. We were able to prove that the school was not providing FAPE by having an evaluation done at the beginning of the year & again at the end of the year. Year after year he had not been progressing in reading. The test results were clear & the school new they had to do something. Like you, for years they provided my son with less than adequate reading instruction. 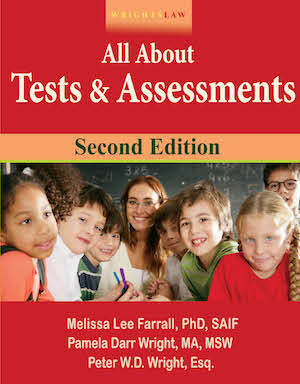 I went to the IDA webside (International Dyslexia Association) & found a tutor that was a certified reading specialist. She was “certified” in Wilson (not just taking courses) & in Alphabetical Phonics. My son went to this outside tutor at the school’s expense with transportation. At 15 he was reading 1st grade. At 20 he was reading 10th grade. I had a similar situation last year when my child was younger. However, I received guidance from the Department of Education in my state..
Oh, where do I start? My son is an 8th grader who is reading at an ending 1st grade level. I have had a private eval with a neuropsych who recommended 1:1 multi sensory intervention as he is the most profoundly dyslexic child he has ever tested. That was a year ago and the school finally gave him a teacher who went to a 2 day training for Wilson this year.He is not making adequate progress according to our last eval by the neuropsych in October. (obviously if he is reading at a 1-2 grade level)I have found through private tutoring that OrtonGillingham works. We have used a tutor the past two summers and he shows a spike from May to September and then levels off. I cannot get the school to provide it. I cannot afford it. My heart is broken for him. Actually, you can get the school to pay for it. They obviously have not been providing a free and appropriate education (FAPE) so they must pay for what is. You may have to contact an attorney to convince them, and they will have to pay for that, too. Some school districts are getting it right. I just attended a conference in Connecticut. Greenwich CT has a 3-5 year plan to get ALL of their teachers certified in the Orton-Gillingham approach. This is only one method along with the other methods that they use. Before anyone comments, well “Greenwich” has a lot of money. The fact that the inner city schools get millions of dollars and are not teaching kids to read. Many of such schools (as I have worked in some) are pushing students along the system with stressed out teachers, manipulated achievement scores, etc. School choice is very important for parents of inner city students. M son is in the second grade. Last year at all the parent teacher conferences they informed me my child was doing great, he was passing with A and B’s. This just into the beginning of the year, I am told my son is on a low kindergartner reading level. How is this possible? For him to go from that to this, unless the teachers were just lying to me. MICHELLE, You say your daughter is making some progress, but looking at the numbers, I don’t see how. Where is she as compared to her peers? What is her percentile rank? Every kid is likely to make a little progress from year to year, they are a year older, but is it MEANINGFUL progress? Is she making gains on her peers? Does the reading program being used with your daughter address her deficit areas in reading? Has the program been proven effective? You should be able to find her deficits in the eval, you can research reading programs and what deficits they address at the Florida Center for Reading Research website. 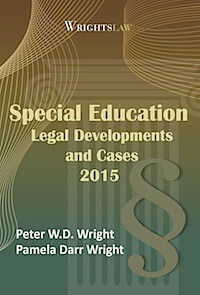 Read anything by Lousia Moats and Sally Shaywitz, Wrightslaw has lots of great info about reading as well. Make yourself an expert on how kids learn to read, then an expert on what your daughter needs! I have a 5th grader who was diagnosed with dyslexia and ADHD in the 1st month of 3rd grade by an outside evaluation. AT that time, she was essentially a non-reader and the school had her at a 1.4 grade level on her report card. My neuropshychologist, husband and myself shared this information with the school; and we stressed that she was not provided FAPE. We were able to get a private placement for 2 years (3rd and 4th) were she made little progress. Now it is mid Feburary and she is beginning to make progress with the help of outside tutoring 3 hours per week. Basically, she has a goal to read 83 words per minute at a 3rd grade level. It appears that she will not make her goal according to Aimsweb. She is projected to hit 64 WPM at a 2nd grade level. The school thinks I should just be happy that she is making any progress at all. I’m concerned that in a posting area that deals with law, facts and science, a previous poster “Karen” is gushing about the Ron Davis program as a cure for dyslexia. Davis is a snake-oil salesman: his background is not in education, research or learning disabilities. I attended an informational seminar last year, and his minions outrageously claim he “cured” himself of dyslexia, and for $3200 and a week of ‘training’, they’ll cure your kid, too. Parents need real programs, not empty promises. 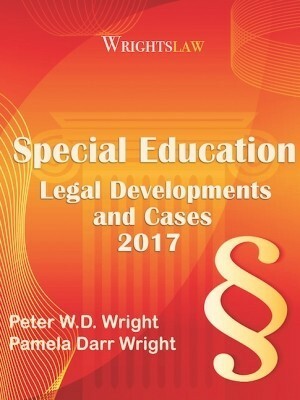 Tracy: The Wrightslaw blog deals with legal issues in special education, especially the problems people encounter. We are not scientists. I read the post you found offensive – a person recommended a book and reported good results in her very limited experience. This scenario – a person has a good experience with a specialist or treatment and recommends that specialist or treatment to others – happens all the time. It’s normal, helpful human behavior. It doesn’t mean others should take advice from a stranger, nor does it warrant personal attacks and name-calling. Before accepting advice, we need to ask questions and do our own research. Due diligence. We should find out if the claims made by the specialist or program are supported by independent, quality research, and (politely) ask for a copy of that research. My son is also Dyslexic. He is using the Barton Program with a pprivate tutor. It is a wonderful system. I just had a Could it be Dyslexia class at our school. I had betwee 60 and 70 parents show up (no teachers) They all got a demo in the Barton system and all left hopeful and wondering why we don’t teach all kids to read this way. I encourage all of you to do your research. All orton Gillingham syatems are on the net. Just Google. Check out the web site http://www.brightsolutions.us. The whole system is on there. I am a strong believer that if we all stick together we can make a change. You as a parent need to do the research and understand why your kid is not reading. It is not hard to figure out the testing systems with wrights law books and articles. Good Luck to all of you! For anyone whose child cannot read and/or has dyslexia and/or wants them to be trained in Orton-Gillingham… all I can say is: Barton Reading and Spelling system by Susan Barton. 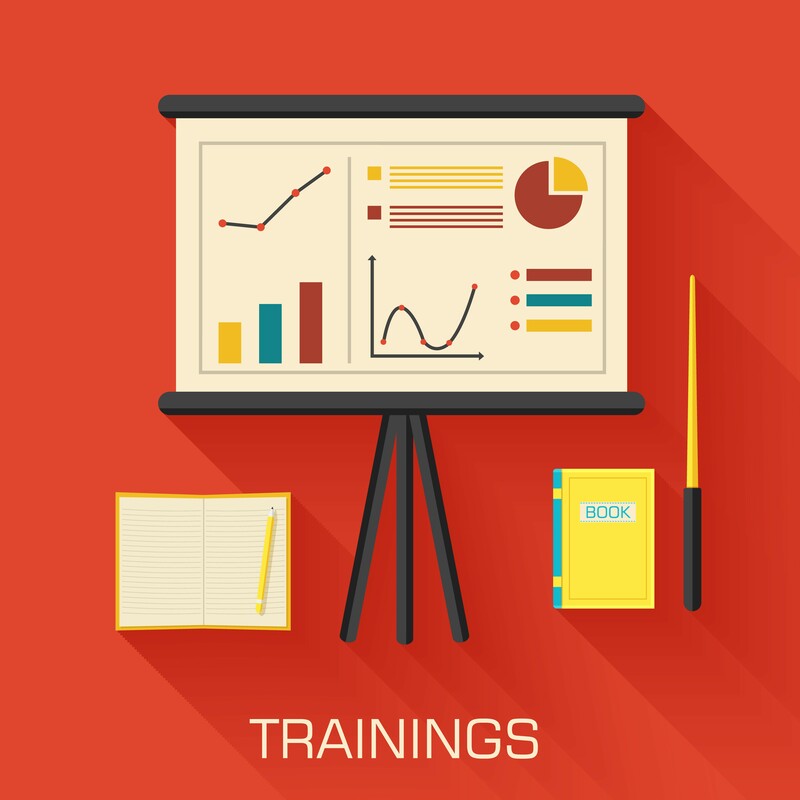 This Orton-Gillingham program offer something the others do not… a train the trainer component that is so good that any parent (that does not have dyslexia) can tutor their child. I used the program to hire someone to tutor my son when we were overseas…. and I tutor him myself in the summer. Now he is back to school in US, I might have to continue as the school is clueless to the need for an Orton-Gillinghim program. You can help your kid yourself. I tutor my daughter with it also, and she has greatly benefited as well. Jill, I ran into the same problem with 2 of my 4 kids. 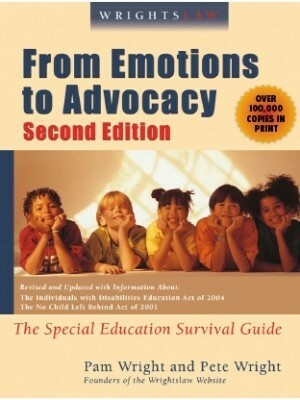 If you have not read “From Emotions to Advocacy,” that should be your first step. You need to understand exactly where her reading deficit is and understand her evaluation scores. 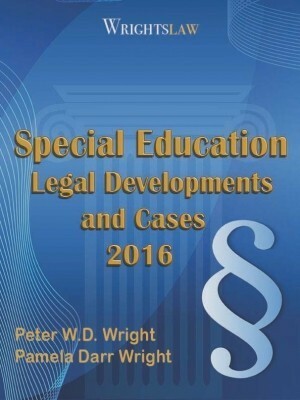 Contact your state PTI (Parent Training and Informattion Center)for training on the law and also get a copy of “Special Education Law” by the Wrights as well. By the way dylsexia is specifically mentioned in the IDEA under specific learning disability. YOU CAN DO THIS! 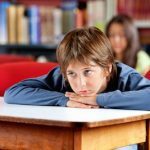 My kids did learn to read, but it was only when I made myself an expert on their disabilities and what the IDEA says about specific learning disabilities. Good Luck! My daughter is 10years old. After years of trying to find someone that would test her for dyslexia her eye doctor recommended an ophthalmologist 45min. from where we were living. Needless to say I jumped right on that band wagon and took her to see him. He diagnosed her to have 2 different types of dyslexia. I took his report to the school. At her next IEP meeting they told me that dyslexia is not a diagnosis that is recognized by the state and therefore they didn’t have to give her the Orton Gillingham reading program. My daughter was in 3rd grade that year and was reading on an early first grade reading level. Mind you she should have been in 4th grade. The school system in Florida is ridiculous. They said I should be happy because she made some progress. I don’t know what else to do for her. It’s NEVER my place to say who does or does not care about the kids. As soon as I started following that rule I found my perception of others and my working relationships improved tremendously. I stopped letting hyper-critical judgements that I couldn’t possibly know or prove obscure my vision. God bless those of you who are still in this dilema. My son was diagnosed with dyslexia when he was in fifth grade. Luckily we have an excellent school in the area that works with kids with dyslexia and a school district that knows it can’t do what they can. At their expense my son, and later my daughter, attended this school. They both could read on grade level when they graduated. Neither “likes” to read, although my daughter reads novels that interest her. But they can read and write to be successful and productive citizens. Continue your battles to get what your children are entitled to. 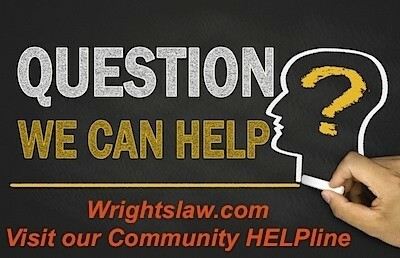 Learning your and your childrens’ rights here at Wrights law is a great beginning. Now, he is about to turn ten, and he is still at below kindergarten level in reading comprehension. as it turns out, last year they only taught fluency, and he made gains. But they didn’t put him in a comprehensive remediation program. Now they are using their choice as to a program for comprehension. I researched it and it is designed to help kids pass state mandated tests — nothing more! My son can’t wait any longer! 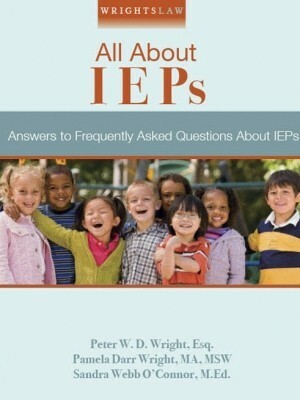 I need to know a reading program proven to work for a child with autism. Yes, I am firmly believe teaching in the clasrooms lack of experiences and knowledge. This is not for every teacher or the school where performance ocurrs, but knowledge of Math and LA for many teachers is not there. Most of these teachers have to be experiences enough in that area of expertise. If not, they cannot performed. It is not acceptable that any other person from another country educated can performed better to the teacher’s standards. The country has to change. The be surprise for many if tyou dont’ know this, students in chemistry of physics from Central America know more than elementary or secondary teachers in this countyry. American had build $$ for the good not for the worse. We must shape the country. Reading is a must now in any country. Lets do the right thing! I was reading some of the articles posted here on the site. My child is in the 3rd grade and cannot read at all. She has made minimal progress in all of her subjects. 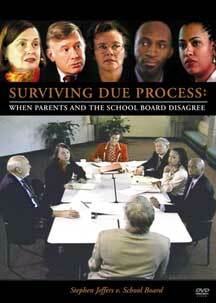 The best advice that I can give to parents is to pay for private evaluations if you can. I could not afford to do so, so I went the long route with the insurance company and the district. I searched every avenue and came up with a diagnostic center that would test my child for free. I want to remind parents to never give up hope; where one door is closed, another will open; you just have to keep advocating and negotating persistently to get your child(ren) the services they are are entitled to. It is very hard to go up against the school districts but if you believe that your child(ren) need extra help, then go the long mile with them; it will pay off eventually. Unfortunately you give no recognition to the fact that there has always been a robust critique of the notion of “dyslexia” in the literature, primarily by Sigfried Engleman and Doug Carnine. Explain, for example, the phenomenon I experienced in graduate school. I worked in a preschool that used the Direct Instruction programs in reading, language and math with welfare kids (precisely the population from which we receive the majority of our special ed referrals). Our research indicated that children who remained in the program for longer than one year exited with average reading scores at the 2.3 grade level (at age 5 years, 10 months). That means that when instructed with a robust research based methodology, nobody (that means ZERO) kids failed to learn how to read. My son is now in the 4th grade. I have tried every year to get him help with reading at school. I attended a seminar in which I learned my son has many characteristics of dyslexia. The reading specialists in my district admittedly said they do not have the resources to teach a child with dyslexia. I took it upon myself to become his tutor. I have found a great program that is multi-sensory and he loves it. Being a single working Mom of four children, finding the time to tutor was difficult, but this has become a priority for me. I pull him out of school twice a week during his reading time and tutor him for 30 min. Unfortunately, the school has not been willing to work with me and I am not allowed to tutor on school property. Not worth fighting that battle right now, because the teacher is working with me.